We serve the inmate population in the United States with Catholic material provided to the facility Chaplains. Information is designed for all Christians in Prison Ministry who serve the needs of those who are incarcerated. We recognize the importance of Chaplains who are called to serve the inmates in this vital ministry. We hold in high esteem their efforts in caring for the outcast and forgotten, whom God created and loves. We pray for the many Chaplains, that they may experience God’s love for their service. Peace. 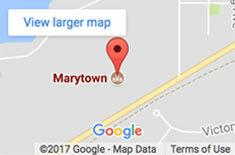 Connect with the Marytown Prison Ministry and let us know what items we can send to assist you. Please complete the following information. God bless. Institution Name REQUIRED Please fill out this field. Please enter valid data.